For you who want to pet red-eared turtle (red-eared terrapin), you have to prepare everything including the tank as its house. 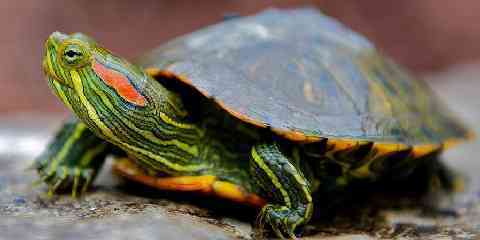 Red eared slider tank should be prepared properly so that your red eared turtle can live and survive very well. 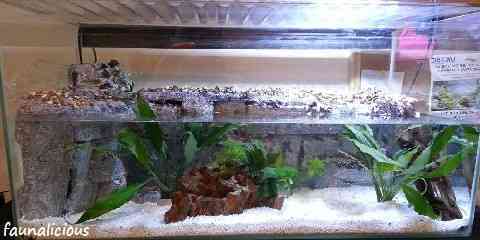 If you find a good tank for your red eared turtle and you care for it well, it will live healthily. 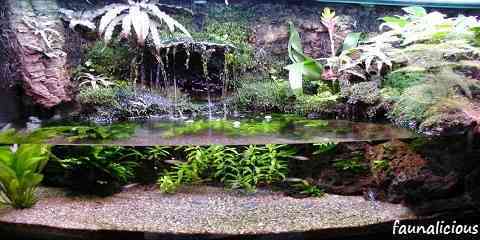 However, planning red eared terrarium is not that simple because it includes buying the tank, decorating the tank, adding a filter, etc. The first thing to do is purchasing the tank. The tank should have the capacity of 50 gallons for a baby. However, you need the bigger tank about 120 gallons after that. Besides that, you also need to take into the water depth, space and also waste. 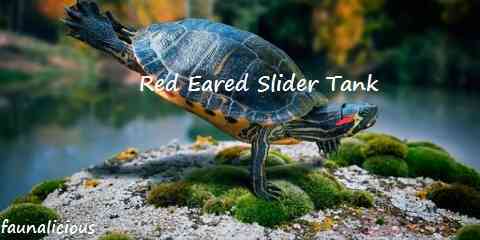 With the ideal capacity of tank, your red eared turtle can grow well. 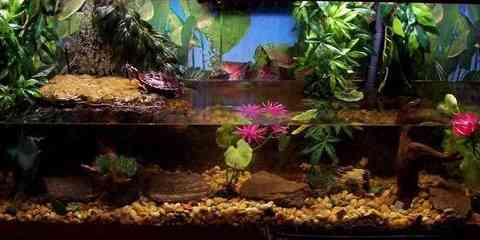 When you are looking for a red eared terrapin tank, you should not spend much money. When it comes to the ideal housing, big glass aquarium can be considered as the best choice. However, it usually costs expensively. So, you can try the cheaper alternative. Acrylic tank may be a cheaper alternative but it is not recommended since it can be scratched easily. So, what we recommend to buy is a terrarium stock tank. Red eared slider housing cannot be separated from filter system. It is needed to prevent bacteria in the tank. There are some different types of filter system designed for turtles. They are under-gravel filter, internal canister filter, and external canister filter. However, if you think that those filters are too expensive, you can consider changing the water routinely but it is highly labor intensive task. This is optional. 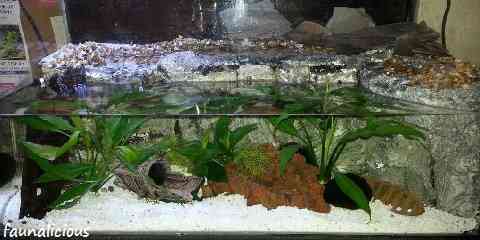 However, red eared turtle housing will be much more interesting if you decorate it. For example, it will be a good idea to create a basking spot from plexiglass shelf that is glued to the tank sides. However, you have to make sure that you use non-toxic glue. One of the most popular decorations is plant. In this case, you can consider water plants. 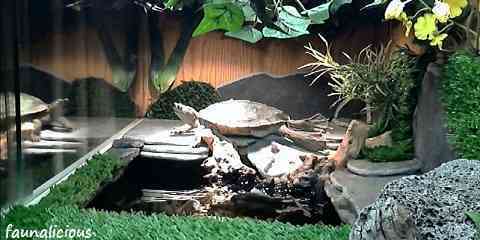 Besides that, it will also be great if you place a screen that is well fitting on the top of the turtle tank. It prevents a daredevil to escape & catch something dropped from above accidentally. You cannot forget about the ideal temperature. You have to make sure that the water temperature is about 80 to 82 degrees of Fahrenheit or 26.5 to 27.5 degrees of Celsius for a sick or hatching turtle. For a healthy turtle above 1 year old, the water temperature should be 77 to 80 degrees of Fahrenheit or 25.5 to 26.5 degrees of Celsius. If it is at the dry land area, the temperature must be 10 degrees of Fahrenheit or 6 degrees of Celsius.